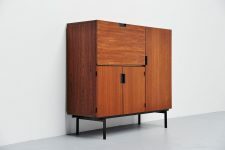 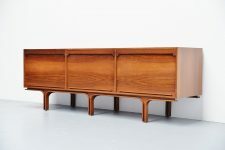 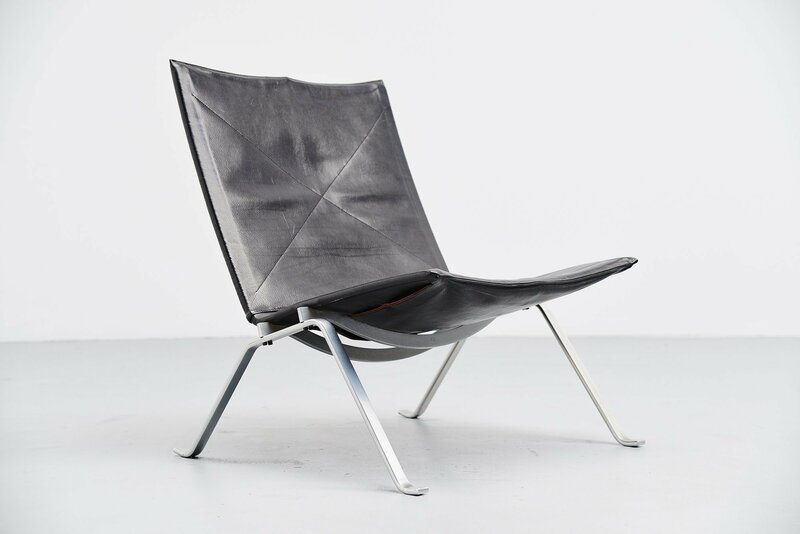 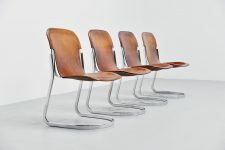 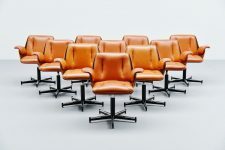 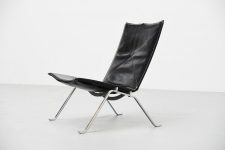 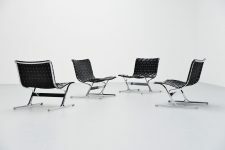 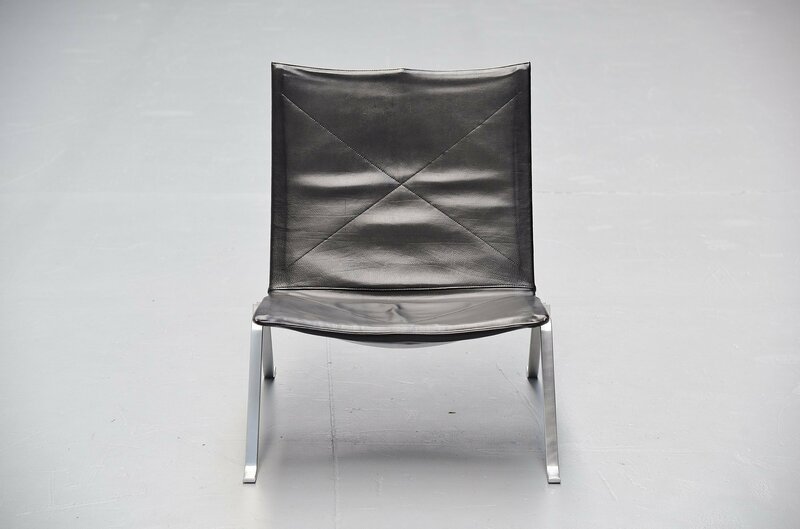 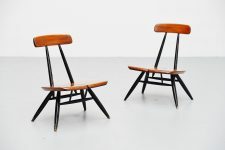 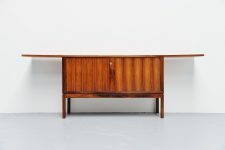 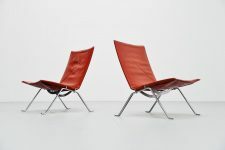 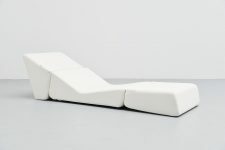 This is for the famous PK22 chair designed by Poul Kjaerholm for E Kold Christensen, Denmark, 1956. This model is an early edition with very nice thick black leather. 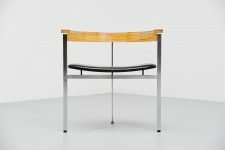 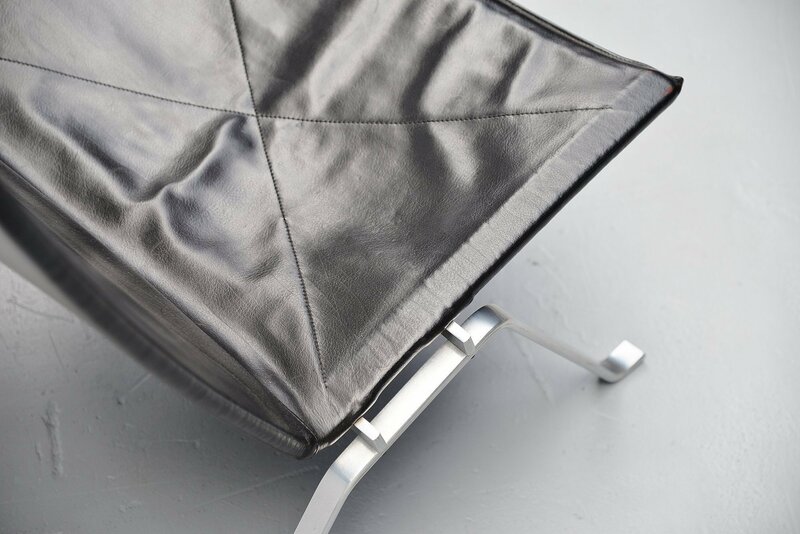 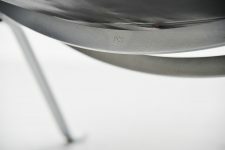 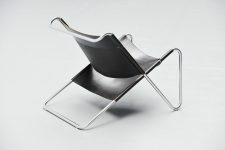 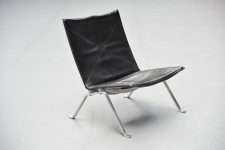 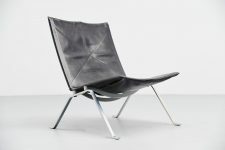 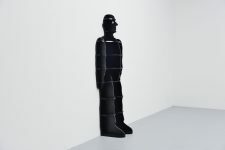 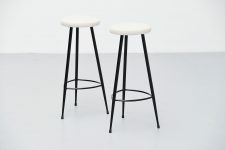 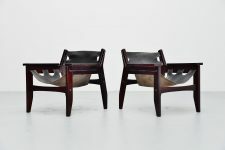 The chair consisted of a spring steel structure, one pair each of legs, crossbars and side frames. 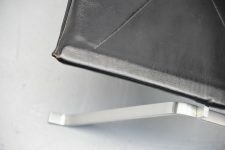 Joined with machine screws and covered with leather. 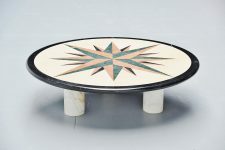 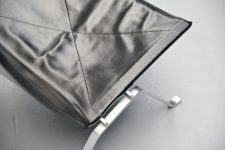 The seat and back are fitted with a laced canvas under layer to provide support. The chair is in amazing original condition and the leather is still very strong and firm. 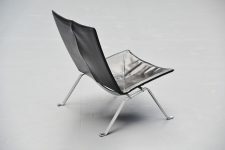 The matte chrome plated frame has some marks but nothing serious, the overall chair has an amazing patina from age and usage but can be used for several more years easily. Impressed with the EKC Denmark stamp underneath the seat.